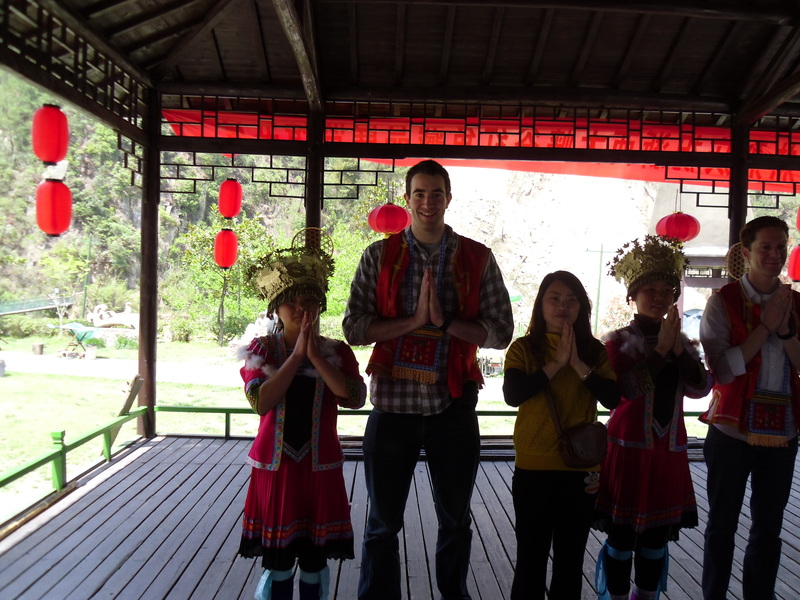 Just got back from a wonderful couple of days in Lin’an, about 2 hours drive south of Huzhou. On Monday we spent the day in the hills, which had some of the most stunning scenery I have seen since arriving in China. In the morning we walked for about an hour up to a small waterfall before going down a slide built into the hilltop. I was more excited about the slide than anything else, and certainly more than is socially acceptable for a 22-year old man. In the afternoon we went down to the river where, amongst other things, I got married (pic below). It was a very small (but not very private) ceremony that was attended by work colleagues and members of the general public. It involved some dancing, a lot of pointing, drinking Baijiu – disgusting Chinese alcohol not far off paint stripper – and the payment of money (which luckily my boss handled). Cunningly I left before any honeymoon plans were discussed, which judging by the cost of the ceremony, would have been A LOT. After I made my quick exit I had a look round the local Chairman Mao museum, who is still considered a hero in China. I managed to bring up the topic with a couple of friends, who simply stated that China wouldn’t be the country it is today without the unification he brought about. Whilst I have a number of opinions on the matter, for obvious reasons I will not comment on them any further in this blog. We then went ‘rafting’ down the river – I say rafting, but I really mean a gentle paddle – which was very pleasant. In the evening we went to a local hangout known as rubbish street, where we ate BBQ and wandered around the different stalls of food. It was here that I saw two foreigners, and I did what every Chinese person in Huzhou does to me – stare and point. I’d like to think they didn’t resent for me for it. Today we did indeed visit the lake where Yao Ming had his wedding photos taken, which was very pretty. Unfortunately my camera ran out of battery so I could ony take one photo (below). 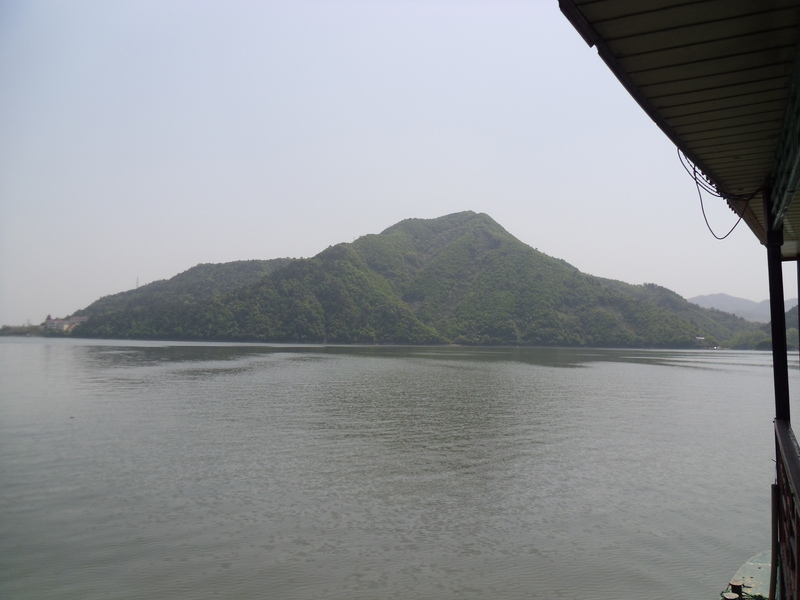 The lake is named ‘a thousand island’, which is a popular name for lakes in China (and one in Canada according to google). On one of the islands we were able to look around an army barracks from the dynasty eras, although which one I’m not too sure. On the same island I was able to see snake wine, which is exactly as you imagine: a live snake being fermented in alcohol until it is ready to drink. This, apparently, has medicinal properties; which may be true, because if anyone put that in front of me I’m sure I’d feel better pretty quickly. I’ll upload more of the photos I took on flickr this evening.